Under certain circumstances, our doctors can use dental implants to help your current denture remain securely in place and increase its chewing power. 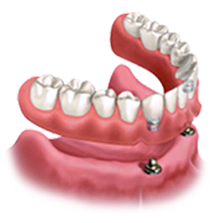 Placing implants and retrofitting your existing denture is known as denture stabilization. With your denture stabilized by dental implants, loose dentures, and all of the inconvenience and discomfort, are a thing of the past. 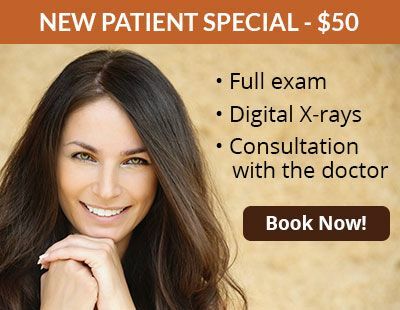 Our doctors are highly trained and experienced in dental implant placement. Dr. Schmidt and Dr. Lee are highly trained and experienced implant dentists who have demonstrated exceptional surgical skills. 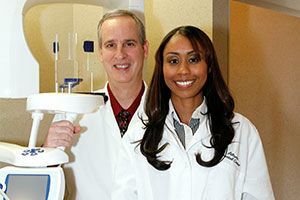 Dr. Schmidt has earned a fellowship with the International Dental Implant Association, and Dr. Lee has earned a fellowship with the International Academy of Dental Implantology. 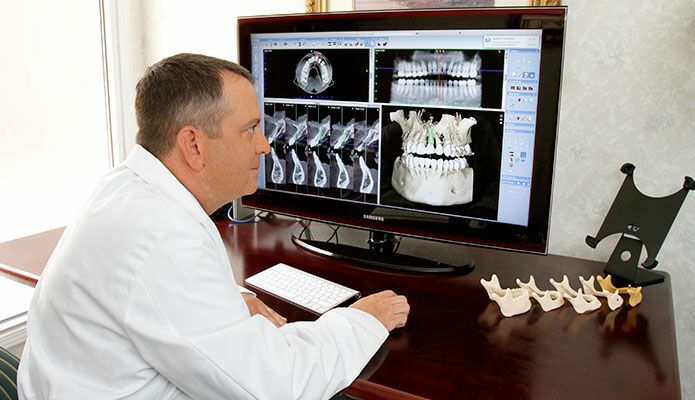 Both organizations deliver state-of-the-art training in implant dentistry. Our in-house periodontist Dr. Robert Vazquez, a dental specialist in implant placement, provides implant treatment for our patients who have complex or challenging situations. Dentures have long been the method of replacing a full arch of missing teeth and until recently they were the only option available. 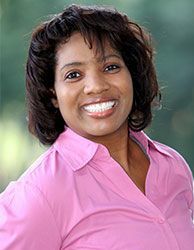 Dentures, however, have numerous disadvantages which make them a less-than-ideal solution. Traditional dentures slip out of place, make noises when you speak or eat, cause painful chewing sores and provide as little as 10 percent of natural chewing power. Wearing dentures also accelerates bone loss in your jaw. This bone loss causes the dentures to become loose again and again over time, resulting in the need for repeated relines and refits. This eventually reaches a point where no denture can be made to fit properly. 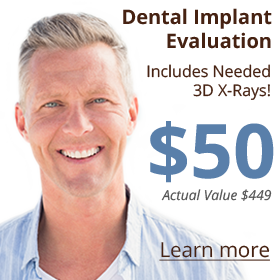 Our doctor will perform a comprehensive exam to determine your eligibility for implants, and will inspect your current denture to ensure it is in good condition and will work well with implants. 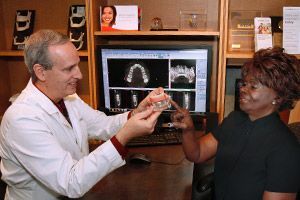 The doctor will place between two and four implants in an arch and will retrofit your denture with snap-on attachments. These attachments hold the denture firmly in place by the implants. Two implants are the minimum number placed to provide stability. Placing three or more implants will increase chewing power. Your denture will still be easily removable for cleaning or other care. After this procedure, your dentures will not move around and they will be far more comfortable to wear. There will be a noticeable increase in chewing power along with the ability to eat many more foods than before. 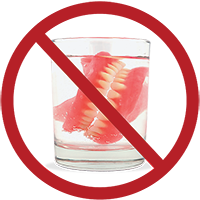 Adhesives will no longer be necessary and the sores and discomfort of loose dentures will no longer be a problem. Learn about our implant-supported denture options.